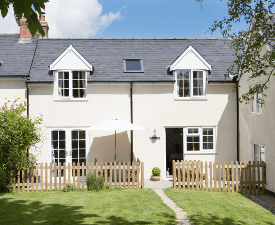 Two holiday cottages situated in an idyllic location on the edge of the Blackdown Hills, Somerset. Rose Cottage & Bluebell Cottage are at Pole Rue Farm in South Somerset. 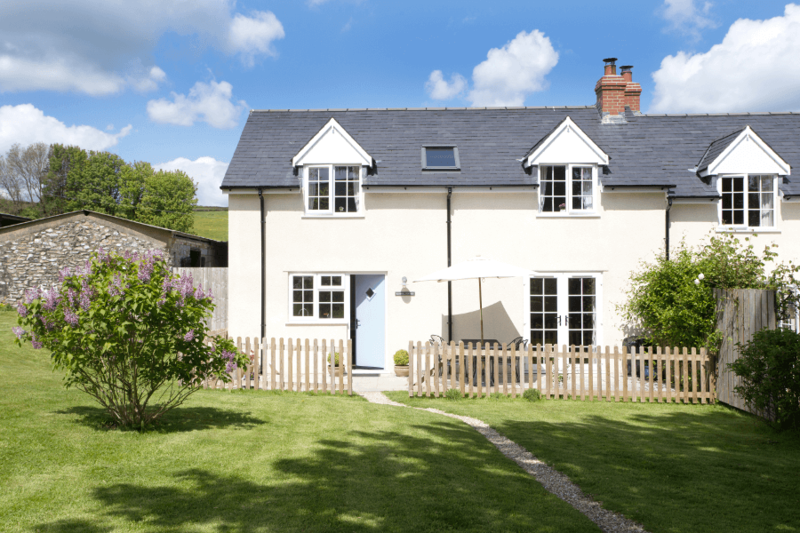 Both cottages are newly converted stables, beautifully presented and each sleep up to four guests. Pole Rue Farm is a non-working smallholding of 5 acres with seven llamas and pet chickens. 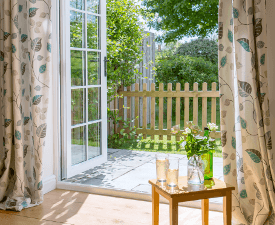 Each cottage is presented to a high standard of comfort and style and has its very own sunny patio and lawn, with patio furniture for al fresco dining. 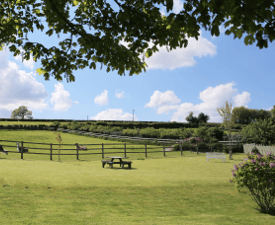 There is also an additional large grass area with a picnic table for all to use, which is great for lawn games (some are provided in the cottages) or relaxing and having a picnic amongst the rolling Somerset countryside. During the winter months, enjoy the pleasure of a roaring fire in the log burner. Approached via a quiet small, no-through country lane, Pole Rue Farm sits in a tranquil position, and is within walking distance (ten minutes) of the picturesque Somerset village Combe St Nicholas with its popular pub (The Green Dragon offering food, a good pint of ale and at times live music), general store and 'pop-up' cafe. There is also a farm shop within a mile for stocking up on local provisions (it also has a cafe/restaurant for refreshments). 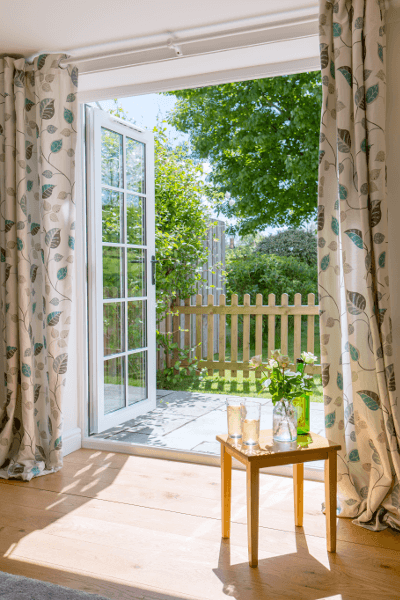 For a larger selection of shops, head to Chard or slightly further afield to Somerset's county town of Taunton (ten miles away by car) or Exeter's impressive cathedral city (thirty minutes). 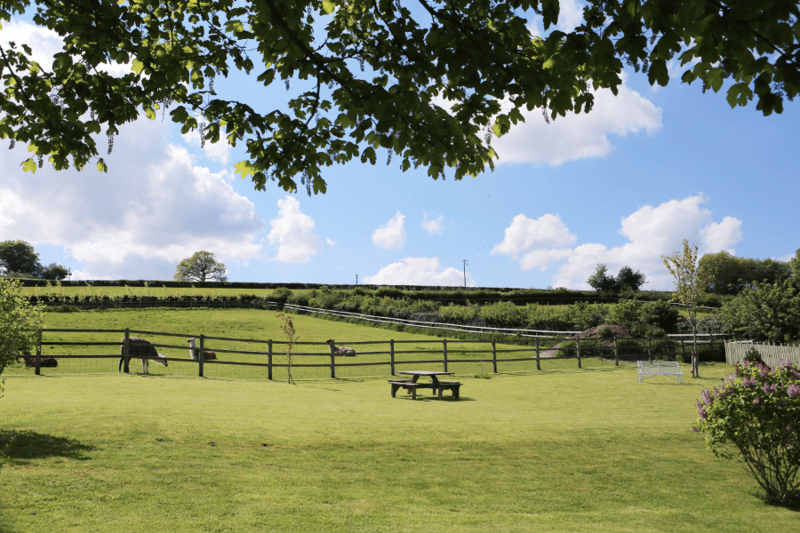 The surrounding countryside is a haven for wildlife and offers plenty of opportunities for those who enjoy country walks, cycle rides along leafy lanes, and fishing. There are details of fantastic circular walks in the cottages with stunning hill top views on our doorstep. The cottages are well placed for visiting a host of attractions in Somerset, Dorset and Devon including: the World Heritage Jurassic Coast with popular resorts such as Lyme Regis (only twenty five minutes away); the National Trust Properties of Barrington Court, Tintinhull Gardens and Montecute House to name just a few; Clark's Shopping Village for those needing some retail therapy; River Cottage Restaurant and Deli in Axminster (home to Hugh Fearnley-Whittingstall); the Sidmouth Donkey Sanctuary; Fleet Air Arm Museum as well as Haynes Motor Museum for historic car lovers; Paignton Zoo and Monkey World in Dorset. 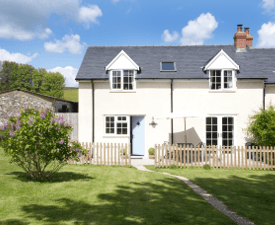 Exmoor National Park with its stunning coast is also within driving distance for a day trip, as is Dartmoor with its pretty little villages just waiting to be discovered. 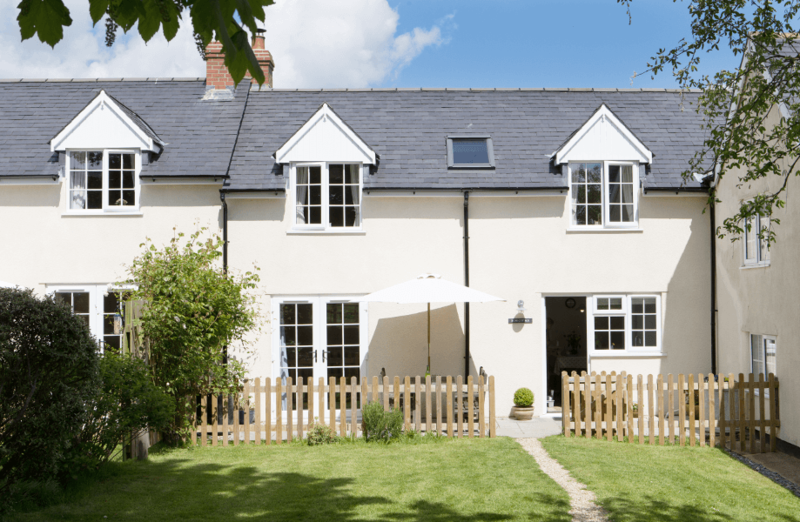 The choices are plentiful and diverse with something for all ages and energy levels, as well as a great choice of pubs and restaurants within the local area for eating out, and beautiful countryside on the doorstep to simply relax.